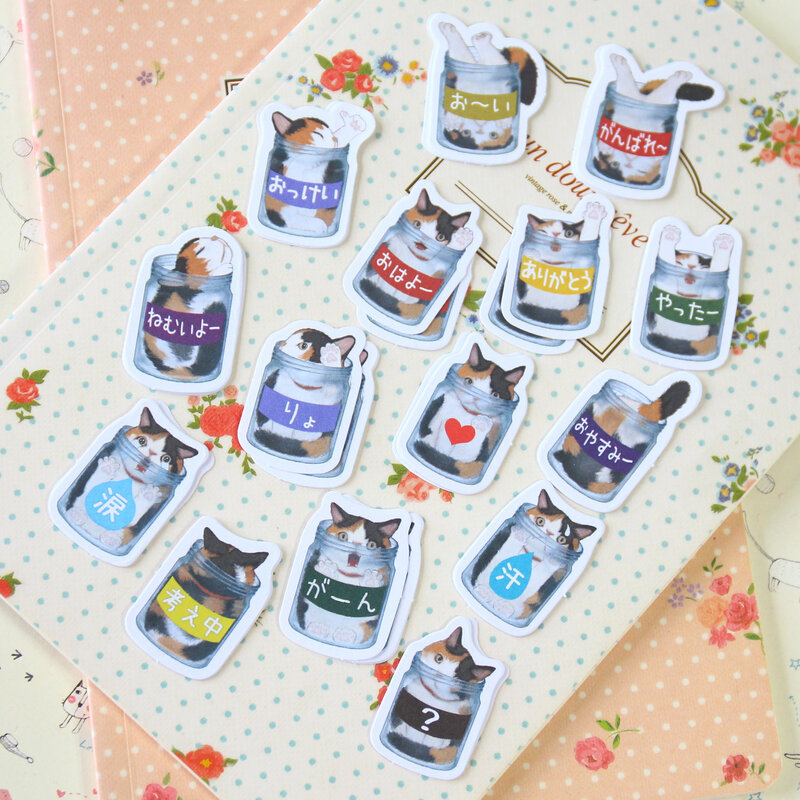 A friend me got these ridiculously adorable cat stickers. I would love to know what the (Chinese? Japanese?) text on them says. This image shows all the different types. Since they're paper, I can just go over the original text with a sharpie and then write my own text over that in white pen, but if I know what the meaning of the original text is, I can skip that step and just use them appropriately. First row: Hey! and Good luck!/Try hard! Second row: OK! and Good morning! and Thanks! and Yay! Third row: Sleepy! and [heart] and Good night! - the one on the left side of the heart saying りょ, I'm not sure what that means, it's not really a word. Possibly a slang abbreviation for りょうかい, "Understood! "/"Roger that!" Fourth row: Tears, Thinking, OMG, Sweat. Just for future reference, you can also use Google translate (and some other apps) to translate text straight from an image.